New bolts are supplied with the rack. Discard the old bolts. 1. First…protect the rear fender with a good thick towel. ((Just in case)) The rack works with the passenger backrest on or off the bike. The bezel needs to stay on the bike. The bezel is what supports the saddlebags. 2. 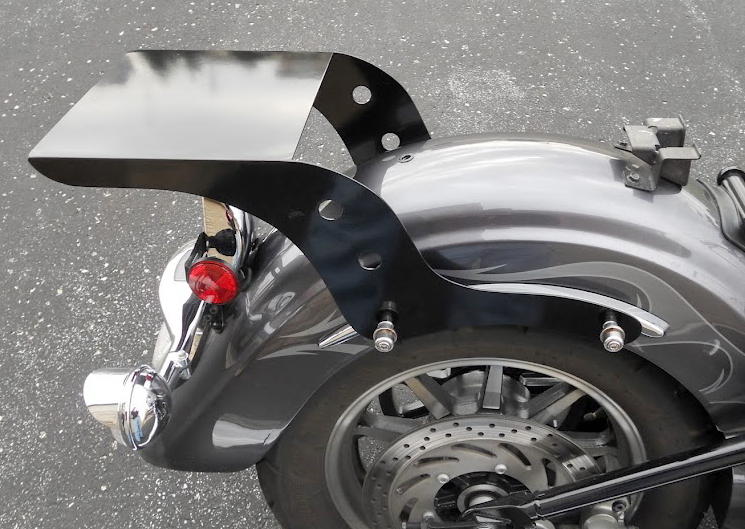 Remove the backrest from the chrome bezel, then both saddlebags carefully. 4. Place the new bolts (supplied with the rack) into the holes and tighten all 4 bolts securely. Replace the saddle bags. THAT’S IT!!! Remember, the rack is only as strong as the bolts that hold it on the bike. Even a truck can be over loaded, so don’t overload the rack. 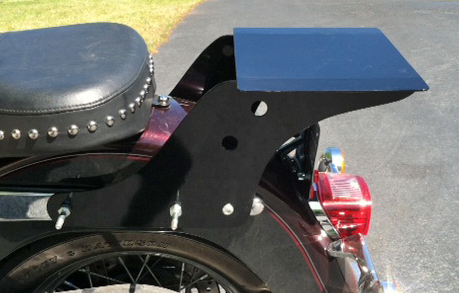 If you are using Corbin saddlebags the racks will not work without a lot of modifications by the customer. The racks are manufactured to work with stock applications on the bikes they are made for. 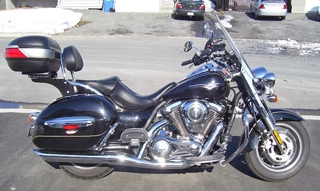 If your bike has saddlebags that weren't stock to the bike then longer bolts will have to be added by the customer. WOMPUS Racks is not responsible by mistakes made by the customer. Please read below before purchasing.